Style: Bourbon whiskey finished in Madeira casks. Thanks to Amy for the sample. Appearance: Light auburn with long thick legs. Nose: Alcohol, balsamic vinegar, black cherry, grape bubble gum, cayenne pepper. Palate: Wine grape jelly, oak, jalapeno, honey. Finish: Madeira, spicy rye, oak, ghost pepper. Mixed: It did very well in all cocktails I tried it in. Made a good, spicy Manhattan and boulevardier but it did best in an old fashioned. The bitters and sugar brought out the spice and jam very nicely. Similar cocktails should also do well. Parting words: Many microdistillers have released sourced whiskey products as a way to pay the bills while their own products age. Some, like Two James, actually do have distilled their their own whiskey and are actually waiting for it to age. The only other product available to that bears much resemblance to Grass Widow that is Angel’s Envy. The latter is Kentucky bourbon finished in port wine barrels. There are big differences between Madeira and Port but both are fortified Portuguese wines. Grass Widow is much richer and spicier than AE. The Madeira wine cask influence adds a dark, grapey taste and aroma to the spirit as opposed to the bright strawberry notes of AE. 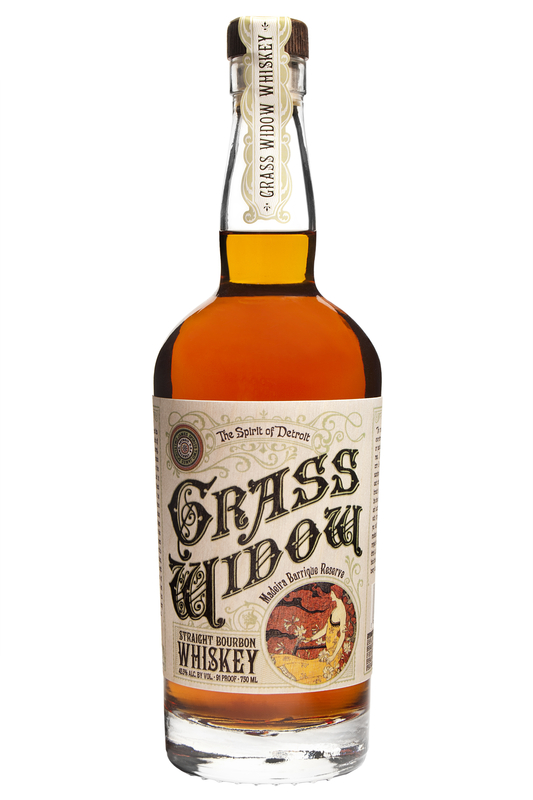 Both are delicious, but Grass Widow’s finish works alongside the sweetness and spice of the bourbon to while AE’s finish takes the lead and leaves the bourbon to play a secondary role. That puts it slightly ahead of AE for me. As with most micro-producer products price is an issue. At $60 it’s not going to be anyone’s go-to, but it’s definitely worth a place in any whiskey enthusiast’s cabinet as a weekend after-dinner sip or for a top-shelf cocktail. Grass Widow is recommended. A recommended for a 4yo? Man that’s gotta be some awesome juice. Well, Four Roses Single Barrel is technically NAS too! I think it’s tasty and unique. Just yanking your chain ‘Lil Bro. But seriously, where do they age the barrels? I have seen these small guys store them in their distilling area and I don’t see how they get the necessary warm and cold temperatures for the whiskey to go in and out of the wood. I’m trying to remember. IIRC, they have barrels in the same room where the still is, but it’s a very big room. I think they may have another room they use for aging as well. Maybe somebody out there who remembers better than I can comment on that.